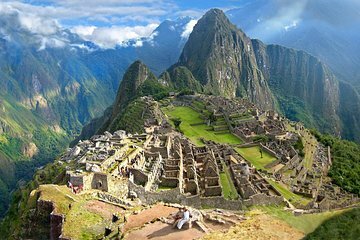 Scopri il meglio del Perù in questo tour privato di 6 giorni a Cusco, la Valle Sacra e Machu Picchu. Esplora la città di Cusco ei siti archeologici di Pisac, Moray, Chinchero, Maras, Ollantaytambo e la famosa cittadella Inca di Machu Picchu. Ottieni una panoramica completa della storia e della cultura del Perù da prima degli Inca fino ad oggi dalle tue guide. Assorbi la cultura peruviana e goditi esperienze memorabili esplorando il paese. This was an amazing tour. Definitely worth 5 stars. We had top notch personal service from the time we booked the tour including numerous emails back and forth to get our preferences in hotels and schedule before even going. We were able to customize some aspects of the tour. We were met at the airport even after flight cancellations and delays by Brian and Karina along with a driver and were presented with welcome gifts and detailed itineraries. We were then driven to Sacred Valley to rest after travelling for almost 24 hours to get to Cusco. The next morning we were picked up by a private guide and driver. The vehicle was a large, comfortable and clean van for just the four of us including the driver and guide. Our guide Edith was amazing and not only provided detailed historical information but made everything interesting by explaining the customs, foods, clothing and cultures of the different areas we visited. There were no questions that Edith could not answer. We travelled to Aquas Calientes by train and visited Machu Picchu the next day. Again we had a private guide. The benefit of having private guides is you can go at your own pace. Since my spouse and I are avid photographers we like to spend time taking lots of photos from different view points. Also, with the steep climbs and high altitude, it was nice to be able to go at our own pace and enjoy the sites without being rushed, After Machu Picchu, we spent another night in Sacred Valley and two nights in Cusco. Our days in Sacred Valley and Cusco were full visiting numerous sites including Maras. Again we had our guide Edith and a driver Carlos. Edith provided lots of information and interesting facts for all the sites we visited. While we were in Cusco we went to a cooking lesson. Again, this was private with only the head chef and my spouse and I. We had an amazing time and the food was excellent. Brian was always accessible during our stay. He would promptly respond to any questions via email. We can't say enough how wonderful this tour was and highly recommend it. It was the best tour we have ever taken! !